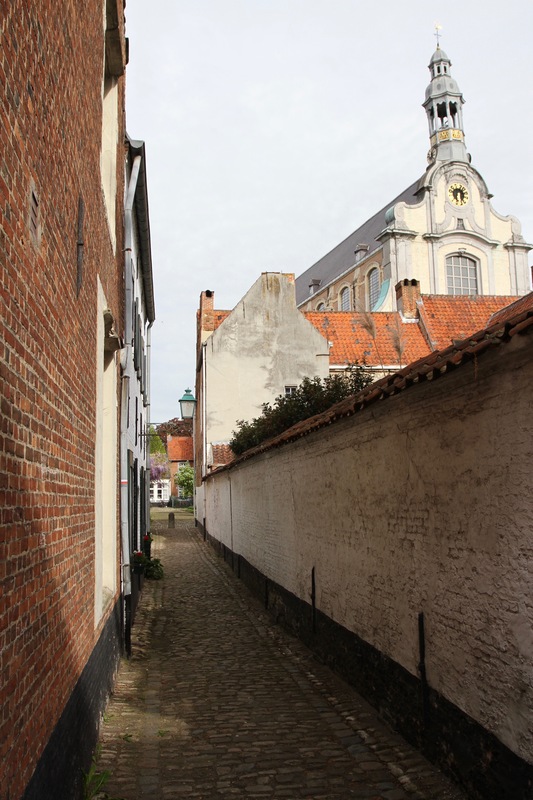 Well, OK, it’s something of an overstatement to claim the lovely Belgian town of Lier is off the beaten path, but for anyone who’s been to Bruges recently, a visit to Lier feels a little like you’ve dropped off the map. This is all the more surprising as Lier is home to two UNESCO World Heritage Sites, an attractive central square, numerous beautiful medieval buildings, and some good eating and drinking options. I’m not sure there are many towns this size – around thirty-five thousand inhabitants – that can boast a similar wealth of riches. I knew I was going to like Lier when we were accosted by a dapper older gentleman in a small bar where we were sampling one of the town’s famous beers. He was trying to sell us some lottery tickets for a rubber duck race that is held on the River Nete every year. Any town that holds a sporting event involving rubber ducks is always going to be my kind of place. He was very chatty and gave us the low-down on Lier, and a few good suggestions for how we spend our time in the town. We’d arrived in the early evening and, conscious that restaurants tend to close quite early in small towns, we headed straight out to have dinner in the beautiful Grote Markt. 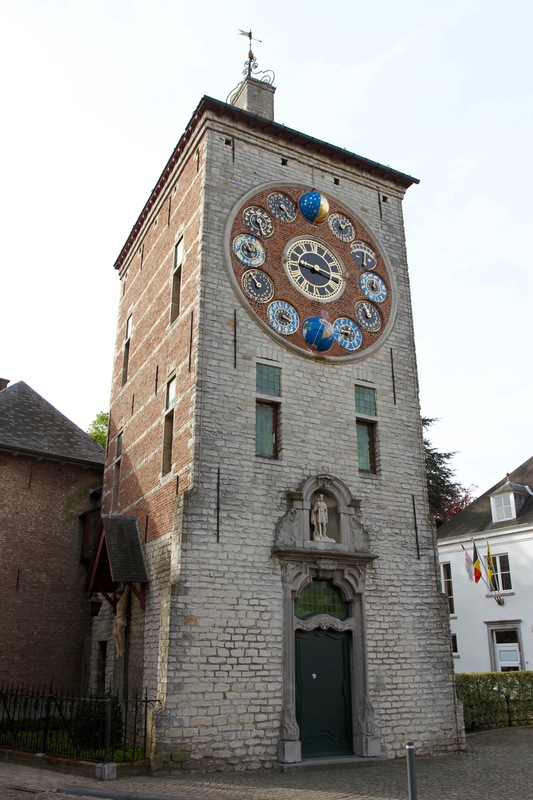 Our restaurant overlooked one of Lier’s World Heritage Sites, the Lier Belfry (although technically it shares that status with 23 other Belgian belfries). 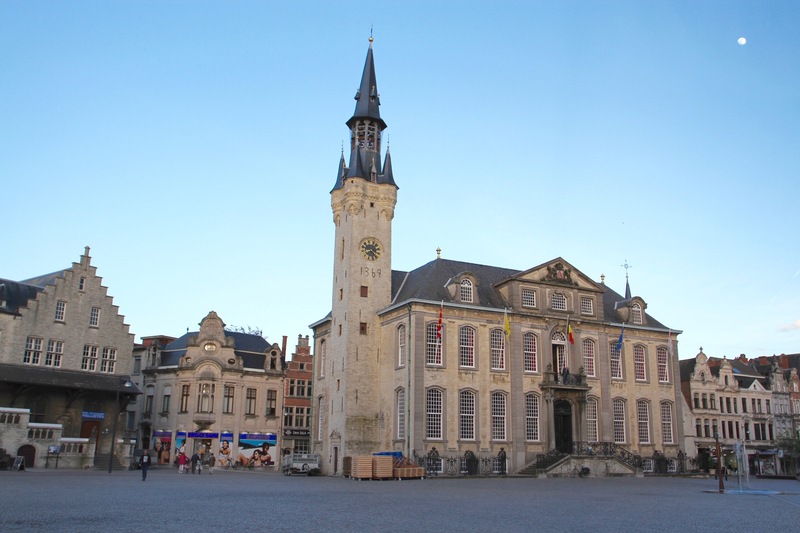 Built in 1369, the belfry is attached to the Town Hall, formerly the Cloth Makers Hall, and together they straddle one side of the square. The next day dawned bright and sunny, but the weather forecast was for rain so we headed out early to see the town illuminated. 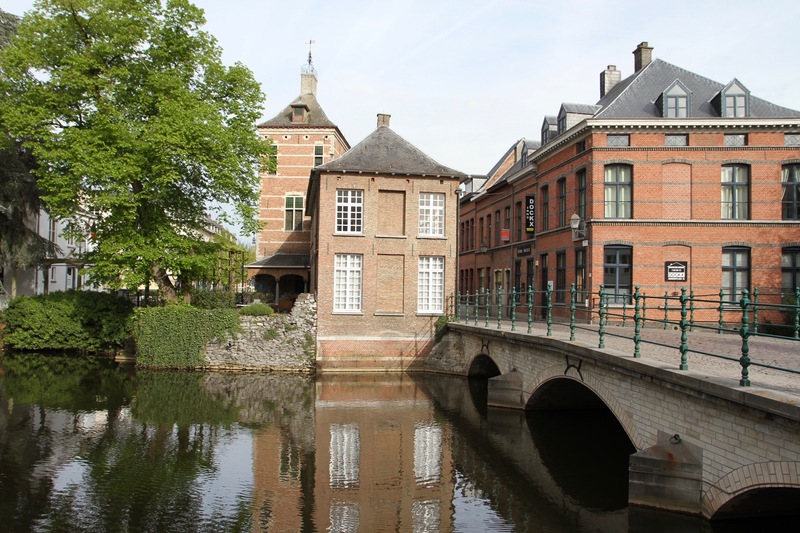 Hemmed in by the river and canals, the historic heart of Lier is pretty compact, making walking the centre in a morning very easy. We headed to the town’s iconic Zimmer Tower. 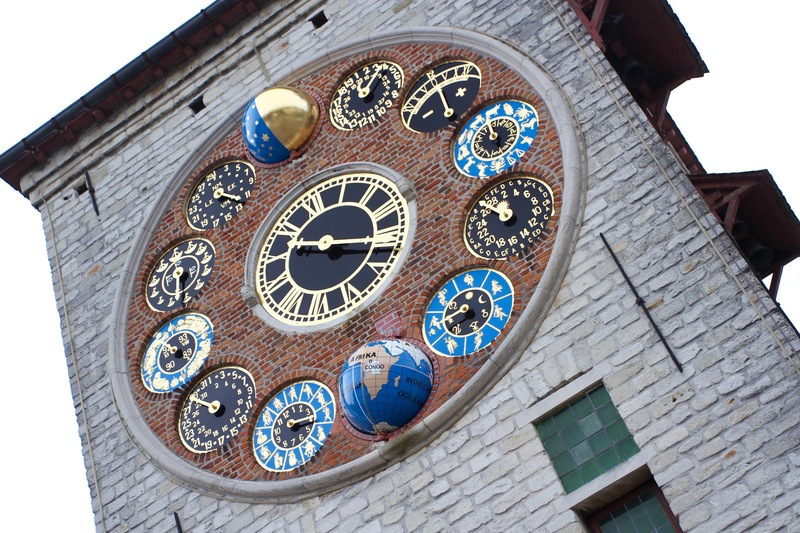 Built in a 14th century defensive tower, the extraordinary ‘clock’ was added in 1930 and can simultaneously tell you lots of quite useless stuff, including the ‘age of the moon’, the zodiac, the seasons, and the solar cycle. More helpfully, it also tells the time, day and month, as well as something called ‘the equation of time’. This is the discrepancy between two kinds of solar time, and is so fiendishly complicated that my brain melted when I read the explanation. Still, it’s a very beautiful thing and Einstein was a fan. I couldn’t help but notice that the globe that was on the clock, was positioned on ‘Belgian Congo’. Given Belgium’s appalling colonial record in Congo, this struck an odd note (no pun intended). 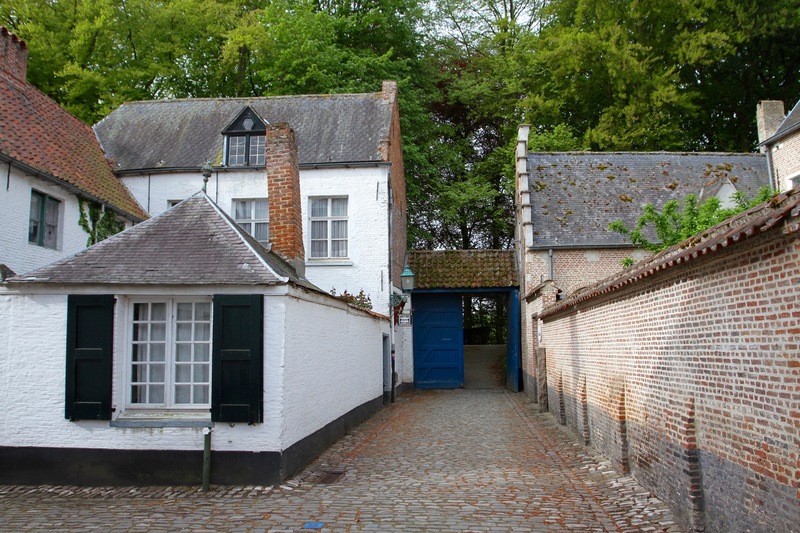 We walked along the river to the second of Lier’s World Heritage Sites, Lier beguinage. This is the quite amazing 13th century complex that housed a community of beguines, lay religious women who didn’t take vows. 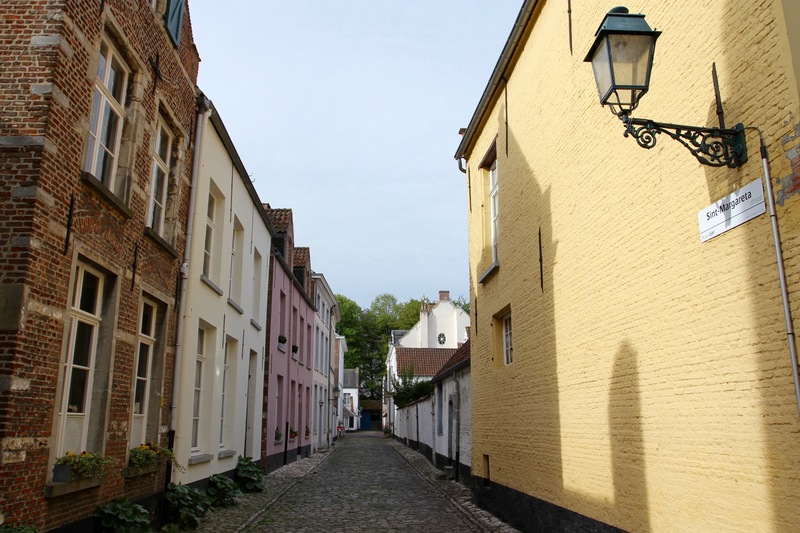 I’ve seen much smaller versions of these communities (many still only allowing single women over a certain age to live there) in the Netherlands, but the Lier beguinage is huge in comparison. 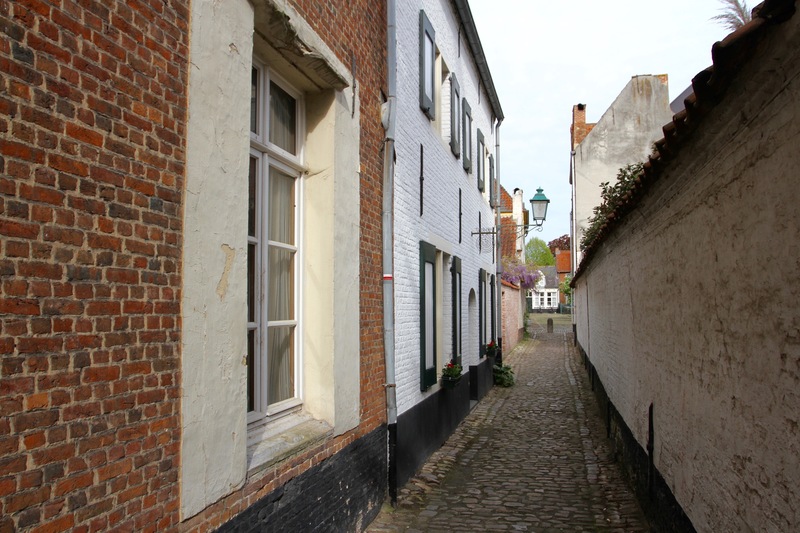 In the early morning, walking through the narrow lanes on cobbled streets was atmospheric and peaceful. We took a walk through a nearby park and ended up back in the town centre where we found a pleasant cafe for a cup of coffee. 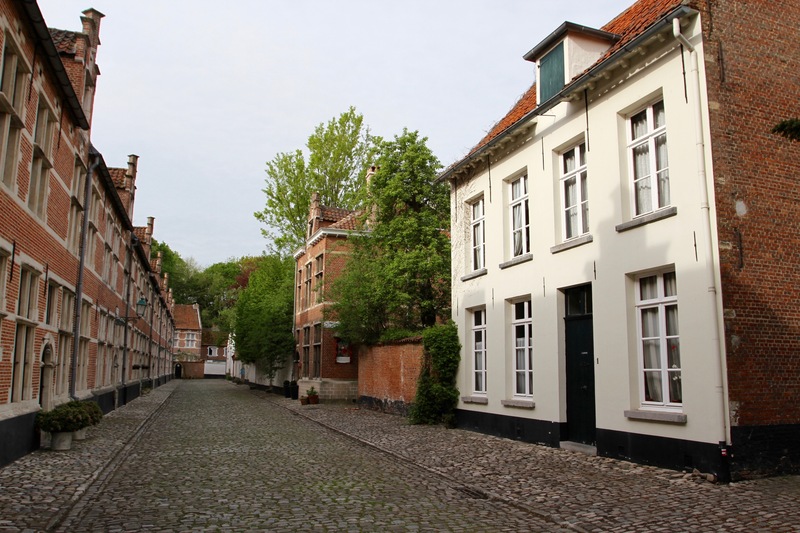 I suspect a day in Lier would be enough to see and do most of what is available to visitors, but the relaxed, friendly vibe was inviting enough to make me want to spend a bit more time there. 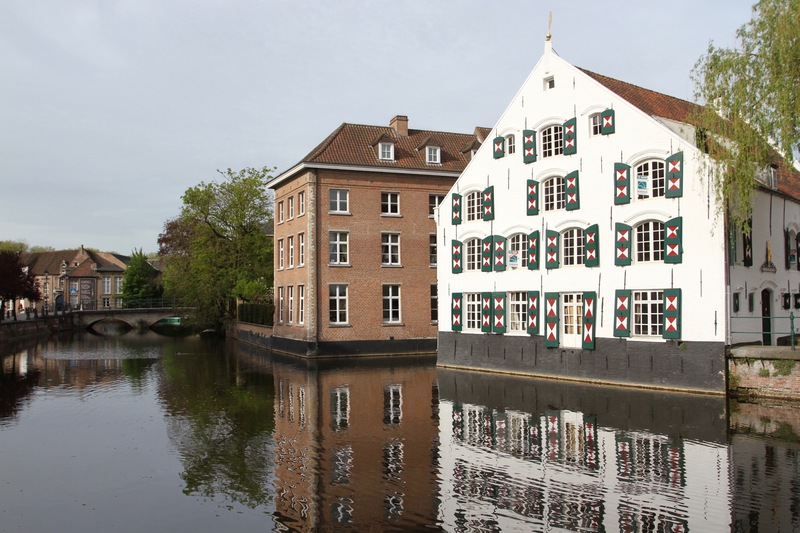 Sadly, we had to be on our way back to the Netherlands, but not before we discovered a truly fascinating fact about the town. It was here, in 1860, that the first mammoth skeleton discovered in Western Europe was unearthed. The mammoth is in a museum in Brussels, but I’d suggest it’s a fact the town should blow it trumpet about a little more. It’s a lovely place. We didn’t have enough time to do it justice, so another trip might be needed. Just been scanning through your blog, I wish I’d discovered it sooner, great ideas for trips to Belgium. Thanks. It was pretty quiet – although there was a marauding group of school children – and it was quite early in the morning. The early bird and all that!! Hope all’s well Brian? That doesn’t sound good (the toxic people, not the holiday), I hope’s everything is OK? Paris in summer? You may have to book those Orsay tickets now! !